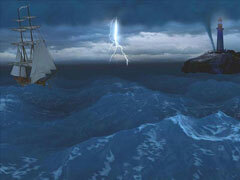 This 3D screensaver captures what it would be like to be caught in a lighting storm. Hold on tight as you sail to safety! Remember all the precious moments of motherhood with this screensaver.